Robert Becker, the genius who worked out the software for generating new optigan disc images from digital audio files, has a couple of optigan restoration tips, so I thought I’d post them as blog entries. 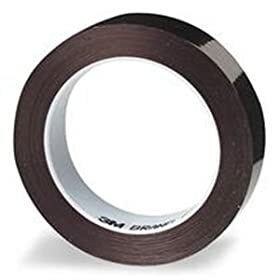 If you have Optigan discs that are missing the little red piece of tape that goes over the downbeat metronome window, get yourself a roll of 3M Highland 616 Lithographers Tape. It’s the exact same tape used on the original Optigan discs. This entry was posted on Friday, October 10th, 2008 at 2:58 pm	and is filed under Tech Flash. You can follow any responses to this entry through the RSS 2.0 feed. You can leave a response, or trackback from your own site.